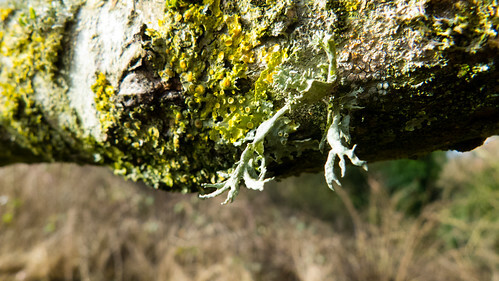 Two lichens growing from a horizontal tree bough. Both are sending out fruiting bodies. Those of the lower set yellow-green lichen are cup shaped. From the other they hang down as multiply forked stems.